What is the best way to propose at Christmas? Blog What is the best way to propose at Christmas? The Christmas and New Year period always brings with it a large amount of marriage proposals. 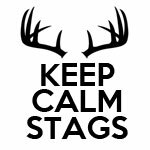 We at Keep Calm Stags have decided to take a look at this tradition and have come up with a few questions you may wish to consider. The 1st thing to consider is when to do it? What have you got planned over the Christmas period? Will you be with family and friends all Christmas? Is it a moment you would prefer to keep private, or is a big announcement more your cup of tea? Such an important moment should be special and personal to you two. Make the moment memorable, so that every Christmas you are reminded of that magical time. If the woman in your life is a private person choose a proposal that respects that, and is all about a secret moment with each other. Have a Christmas Eve cracker in which you have placed a ring or hang the jewellery box on the Christmas tree. If her family are all important consider popping the question over the Christmas turkey when everyone is gathered together, or in dramatic style when it’s your turn at charades. If you’re considering proposing you should know her well enough to choose a way that she will love. Whether you keep your proposal quiet or make it a family occasion, it’s probably best not to put the ring in the Christmas pudding or it could be remembered for all the wrong reasons!